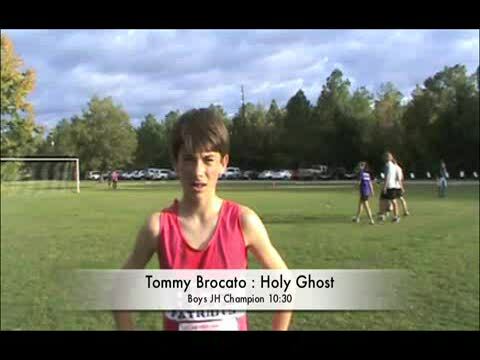 Interview with JH Champion Tommy Brocato of Holy Ghost at the 2009 Metro Championships. Tommy recorded a 10:30 for 2 Miles. 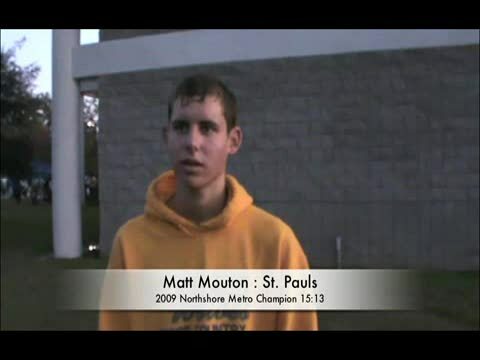 Interview with the 2009 Northshore Metro Girls Champion Malia Cali of St. Thomas Aquinas. Malia recently committed to run at UNC. 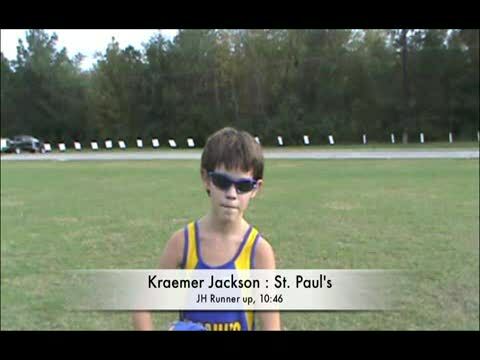 Interview with the JH Boys Runner-up Kraemer Jackson at the 2009 Northshore Metro Championships who recorded a 10:47 over the 2 Mile course.